If you are someone who spends a lot of time in the garage for work and you are bored while doing it then guess what? 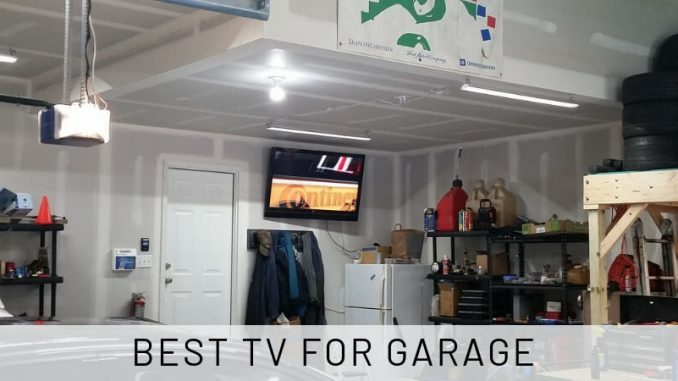 You can get a TV for your garage! Yes, you read it right. There a lot of options available in the market today for portable TVs, small TVs, etc. that can fit in your garage easily. Wall mount TVs are available too in smaller sizes which can be a perfect fit for your garage. By now you already want to know the options available for getting a TV. Don’t you? So after going through all the possibilities of TV that can be kept in the garage I have listed all the best options of TVs ranging from 10 inches to 32 inches in this article. 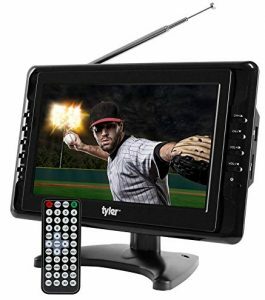 Tyler 10-inch portable TV is one of the most convenient options available in the market today. This TV has an advantage that it is portable and the size is such that it can fit comfortably in the garage be it small or big. It can also be connected to the DVD player and Game system, hence providing you all the features one needs in their TV. This LCD TV has 10-inch widescreen and has a good picture quality. It also has USB/SD inputs for external audio and video playback, Dual AV inputs for use with DVD player. This TV also has a band digital tuner supporting ATSC/NTSC. It also has a removable display mounting pad. This 13.3 inch TV is the most recommended one for the portable option. 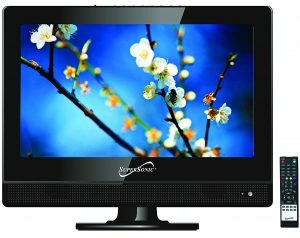 This TV’s best feature is that it has a PC input and it can also be used as a computer monitor. 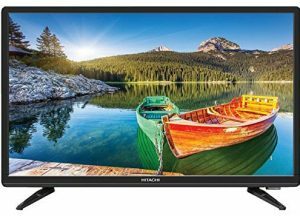 This TV has HDMI inputs and provides high definition picture and sound quality. The TV is USB as well as SD input compatible, helping you to enjoy music and photos while working in a garage. It also has noise reduction, and the noise interference is also canceled. It provides with color balance in high definition. Axess 15.6-inch LED HDTV has a 1366 x 768 max resolution which helps in getting a sharp view. The attractive feature of this TV is size as well as it has a digital and analog tuner to watch your shows later. So you can view your favorite shows while working in the garage. Another specialty of this TV is that it has a 12V car cord technology that can be used while traveling in the car. This TV has an HDMI port which helps in giving a good quality picture and has 720p HD quality. It comes with a full remote control function. This TV has built-in speakers so you can listen to your favorite songs while working. It also USB port and earphone audio jack. This TV runs only on AC power supply. 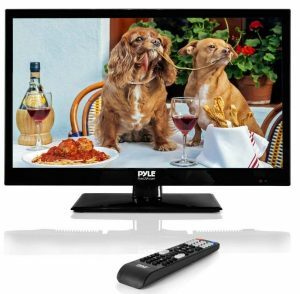 The Pyle TV has an 18.5-inch screen and full HD 1080p widescreen high-resolution display. It can be mounted on the wall easily which will save a lot of space in your garage. This TV comes with 1366 x 768 display resolution delivering high picture quality. This HD TV is compatible with both Mac and PC which makes it possible to use the screen as a monitor. It comes with a built-in range stereo speakers enhancing the sound quality. The TV has side panel control buttons as well as fully functional remote control. It also has selectable multi-viewing display modes. Hitachi 22-inch LED TV comes with full 1080p resolution, and high efficiency LED backlight. The TV is lightweight and compact to fit in the kitchen, small rooms, and garages. This TV can be wall mounted which will save up space in the area you are planning to keep this TV. This TV has 1920 x 1080 pixels resolution display giving an excellent picture quality. It has multiple inputs for DVD, Playstation, Xbox, Bluray, and other gaming devices. 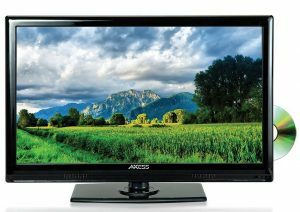 The TV comes with an anti-glare screen and can be connected to an HDTV antenna for local HD programmes. It comes with Twin 3 Watt stereo speakers with surround sound five sound modes delivering a fantastic sound quality. 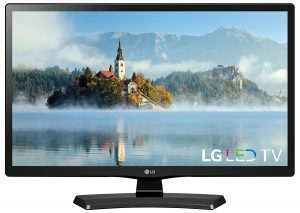 LG 24-inch LED TV comes in the ideal size for kitchen, bedroom, and garage. TV can be wall mounted which is its striking feature. It has incredible clarity due to its HD resolution. Pictures appear vibrant due to its colors and details. This TV has 720p HD resolution giving a fantastic picture quality. It has a direct-lit LED that produces pictures with excellent quality. The TV also has an HDMI and USB input and laptop, blu-ray player and a video game can be connected. It has a 60Hz refresh rate for viewing fast action scenes with minimal motion blur. 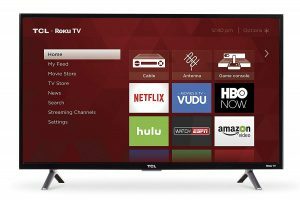 This TCL 32-inch Smart TV is one of the best one if you are looking for buying a smart TV for your garage. Its smart functionality has access to over 4,000 streaming channels, more than 450,000 movies, and TV episodes through Roku TV. This TV has 720p HD resolution giving high-quality picture quality. It has 3 HDMI inputs, USB port, digital and analog audio output. The TV also has 15 degrees of tilt which helps in optimal viewing angle. It can be mounted on the wall thus saving space and making it a perfect fit for keeping it in the garage. I hope this article helps you to decide the TV that will be best suited for your garage. I would recommend the TVs that can be wall mounted as it will not take a lot of space, giving you room to keep other things as well in your garage.